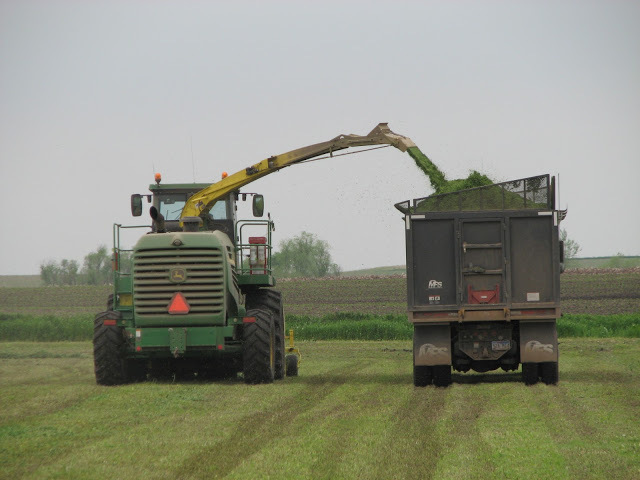 While I was at the conference last week my hubby and his brothers spent a day chopping hay silage. Hay silage is harvested the same way as our corn silage- with the chopper. What is corn silage you ask? For more info go here, it is a post from a few years ago that will give you a quick run down. Basically the hay is cut and is lying on the ground. The chopper picks it up, chops it into tiny pieces and blows it into our trucks. 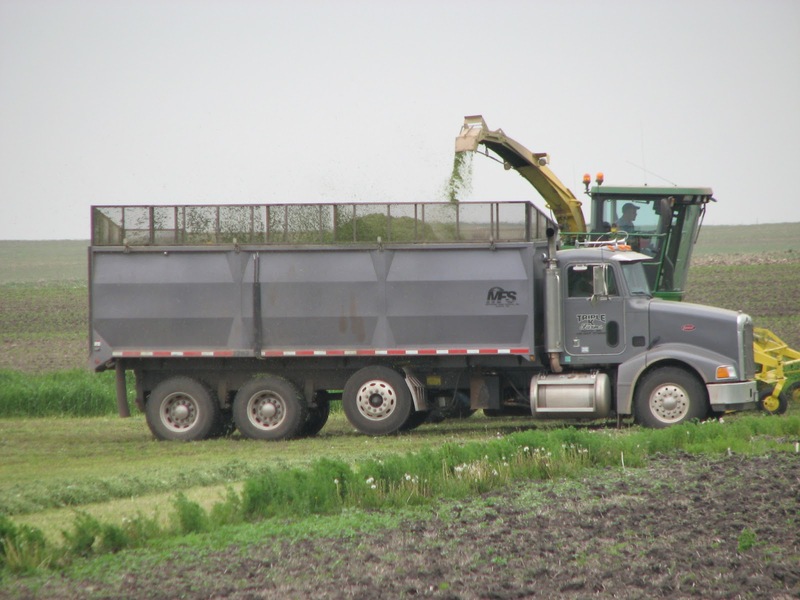 Once the truck gets full it is driven back to our main farm place and dumped into a bunker where it is packed down and tarped, just like the corn silage pile in the Fall. 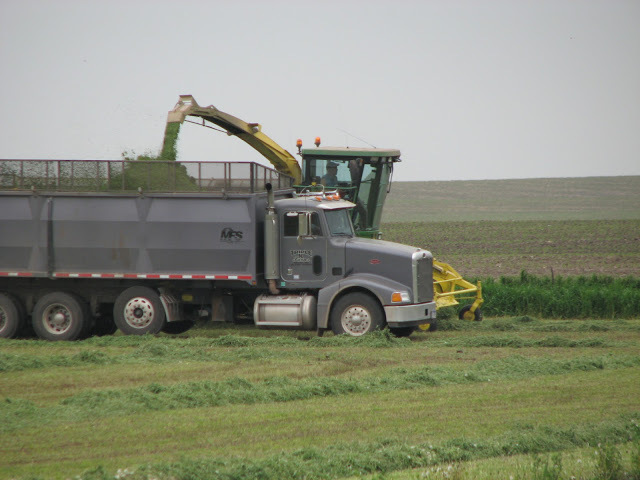 Hay silage is just one portion of a feed regimen that we have our cattle on. 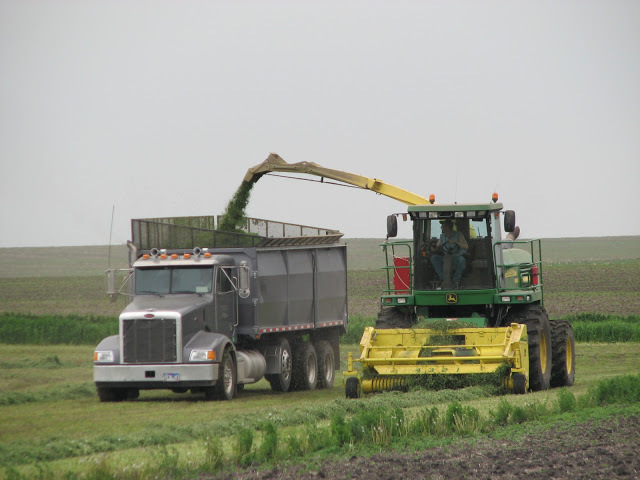 We work with a nutritionist to ensure we are feeding our cattle just what they need.